Complementary and Alternative Therapies are unorthodox methods, practices or products used in tandem with traditional medicine for treating symptoms of prostate cancer. The definition of these terms can be confusing as many do not utilize these terms the same way. Complementary for example is in reference to alternative methods used alongside traditional medical treatment. While alternative treatments are used solely in lieu of the more traditional methods. Many patients use several of these methods interchangeably and some examples of these alternative treatment methods include: special diets, vitamins, herbs and yoga. Acupressure/Acupuncture– is used to relieve pain and side effects of prostate cancer treatment such as nausea which is common with chemotherapy. 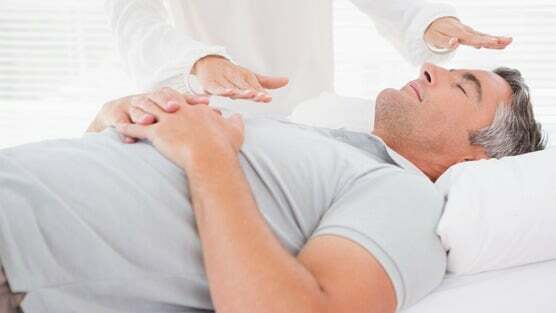 Relaxation Techniques– used for relieving fatigue, pain and side effects of traditional treatments. Some examples include: deep breathing, yoga, hypnotherapy, visualization and massage. Many of these complementary methods have been shown to be helpful while other methods require further testing in order to prove their medical benefit and effectiveness. These treatment methods are used alone in both treating and curing prostate cancer. In clinical trials many of these medicines or techniques have failed in proving to be either safe or effective. Some have even shown to have life threatening side effects to the patient. The the greatest risk however in many instances is a patient losing an opportunity to be helped by traditional medicine. Postponing a traditional method for treatment could have serious health consequences and give the cancer a chance to grow and spread beyond the prostate. Thereby making it less likely for any kind of treatment to have any successful results. The choice on how best to treat your prostate cancer lies with you. It’s important to discuss all your options with your doctor as some alternative treatments can have negative interactions with the more conventional treatment methods. If you do decide however to go with an alternative treatment be sure to learn as much as possible and confer with your doctor at length about it. This will also help to avoid methods that can potentially be harmful.